Streaming video services like Sling TV and DirecTV Now - all spawned in the successful aftermath of Netflix - were once seen as the saviors of the media industry, pulling in those who decided to "cut the cord" and leave cable with promises of unbundled offerings and no long-term locksup. And initially, the growth trajectory for these types of services looked to be long and fruitful for years to come. But recently, these streaming services have hit a harsh reality: their growth has hit a wall, according to a new report, and it now appears that even these formerly boundless streaming services are left with no choice but to cannibalize off one another. The question then becomes: can these services help reverse the subscriber losses that have plagued the entertainment industry for more than three years, or has the industry simply hit a point of supersaturation? Contributing to the slowdown is the fact that, contrary to some expectations, consumers have turned out to be - gasp - price sensitive at a time when both Sling and DirecTV recently raised their prices. Meanwhile, the positives of video streaming – that they are (or were) cheaper, don’t usually require a contract and allow watchers to be more selective with their choices - are balanced by the cons, including the fact that content choices can be limited. Recent trends have been ominous. Dish's Sling TV signed up just 26,000 new subscribers in the third quarter after attracting 41,000 in the previous three months and 91,000 prior to that. In aggregate, the company lost 341,000 customers in the third quarter. DirecTV Now added 49,000 subscribers last quarter after signing up 342,000 customers in the prior three months. In short: growth has hit a wall. Meanwhile, streaming provider Roku slid 11% on earnings on Wednesday afternoon, after the company stated that it may report a loss in the fourth quarter, while consensus was expecting a profit. Roku saw slowing growth in important figures like platform revenue, active accounts and average revenue per user. 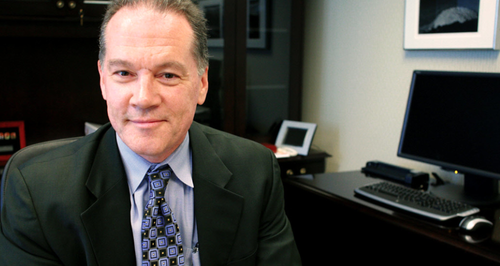 MoffettNathanson Analyst Craig Moffett stated that the growth of these two services appears to be "cratering". However, he doesn’t believe that the market for these types of content packages is shrinking as much as these two companies are indicating. Instead, like Donovan, he believes that people are just be shifting services like YouTube and Hulu. The slowdown, however, is pervasive: YouTube TV added about 100,000 customers over the past two quarters, after signing up 125,000 in the first quarter of this year. Hulu attracted 175,000 new viewers last quarter after signing up 200,000 in the two quarters prior to that, according to estimates. If these companies are cannibalizing from each other it could be a profound negative for other players in the space like Walt Disney, Discovery and Warner Media, who are all betting big on streaming viewers. It also begs the question whether Netflix itself is plateauing. There is a silver lining: the slowing growth in streaming is nothing compared to the carnage amid traditional cable subscribers, which declined by more than 1 million in the third quarter – the worst drop ever recorded – according to MoffettNathanson. 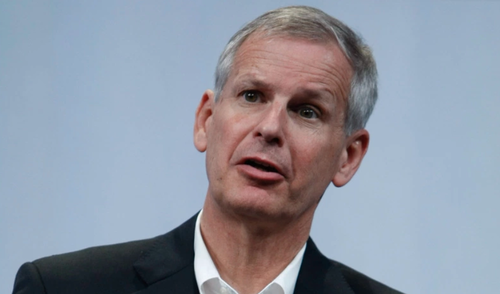 Dish Chairman Charlie Ergen defended Sling TV during his earnings call on Wednesday: “I don’t think it is sputtering as much as people are writing," he said. Ergen continues to attribute the changes to an evolving media landscape (probably because his job depends on it). However, the "unthinkable" scenario of supersaturation - or simply just more debt laden Americans on a budget that need to cut back - can’t help linger as an obvious explanation for the most recent growth declines.